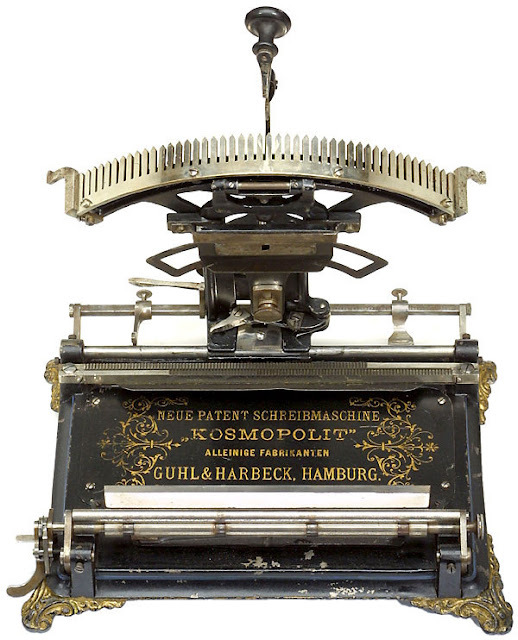 I'm trying to pin down this machine, which is only identified as a Wagner Schneider typewriter from 1888. Could it possibly have anything to do with Franz Xaver Wagner? Some of his patented designs from this period look quite similar (notably #393318), but they employ typewheels. 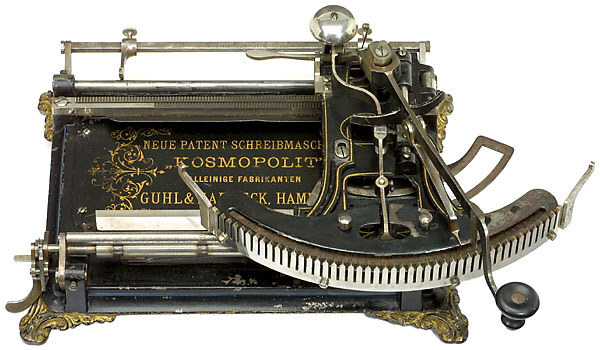 When I checked with Ernst Martin, I was directed from Wagner & Schneider (of Zürich) in the index to a Kosmopolit of the same year, in a section on typewriters for the blind. 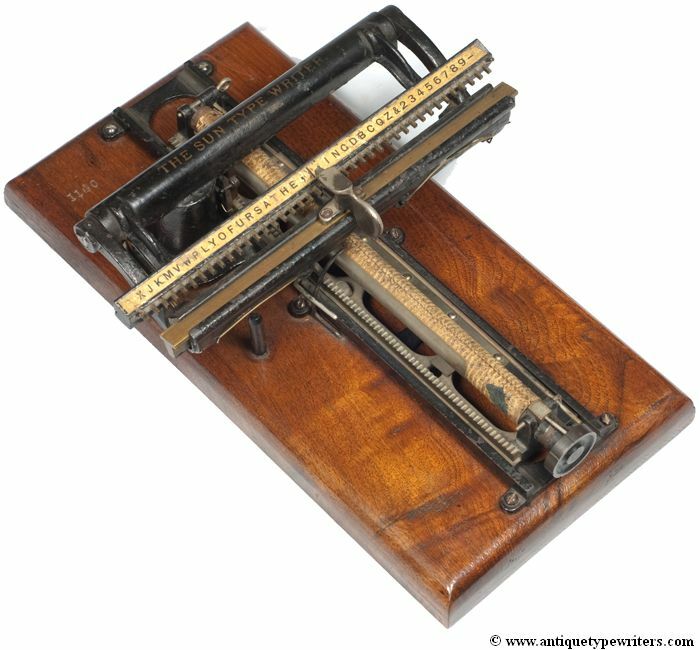 This entry seems to be in the main about the Kovâko, made in St Petersburg, Russia. 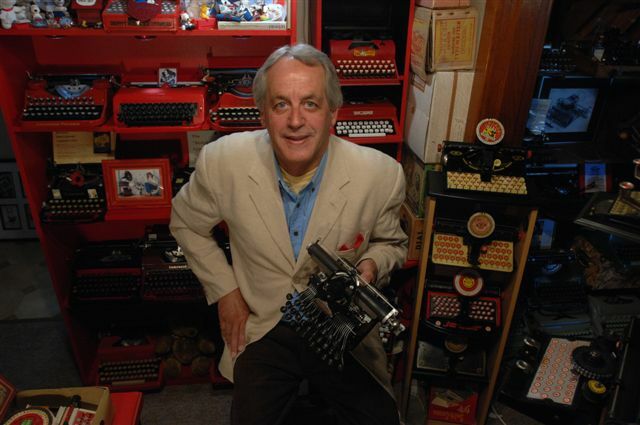 Friedrich Müller has no mention of a Wagner Schneider typewriter. 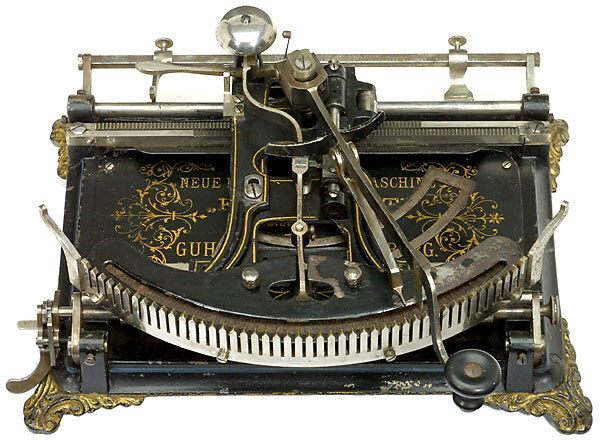 Auction Team Breker in Cologne says of this more familiar model: "This is the second German typewriter in history, made by sewing machine manufacturer Guhl & Harbeck, Hamburg." Very intriguing! Where did you find this photo? 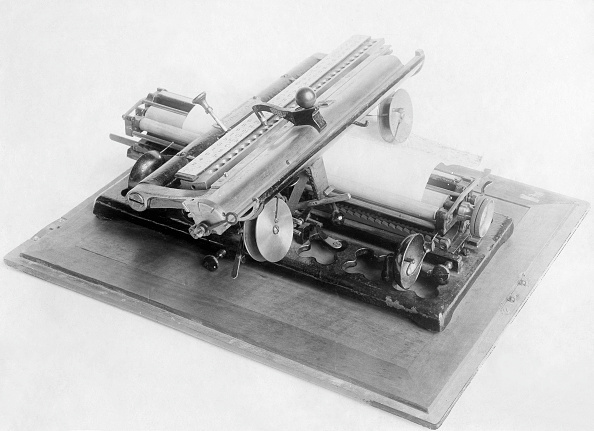 it could be the Wagner Schneider from Steckborn, to be included in my book on Swiss typewriters. 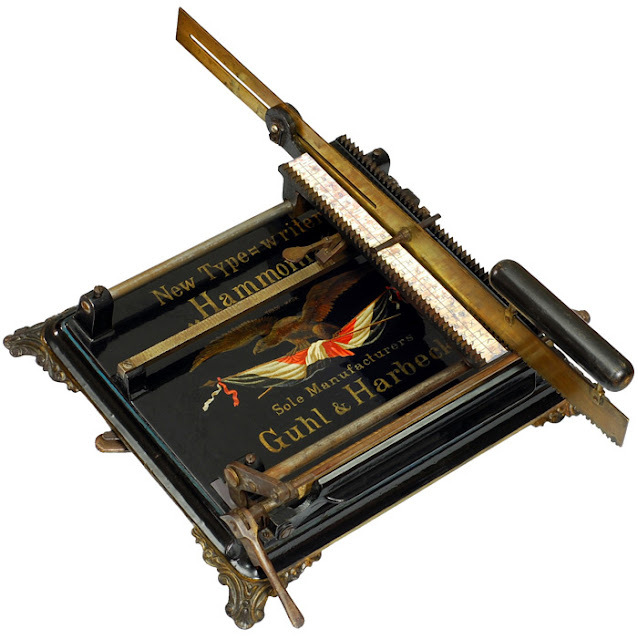 Please write me a mail with the photo and photo source, I know a bit more about it.